The Battlefield 3 English Language patch for owners of the russian version of battlefield 3 will be available shortly on our language changer page. If you’re looking to fix the black screen error that occurs when playing battlefield 3, you have come to the right place. CJS CD Key have just been the first to release the official russian to english patch for the latest june 4th and june 5th Battlefield 3 patch. This will get your game working in english again without any black screen error! This page has been created to help our customers get the RU version of Battlefield 3 to function in English. After you have downloaded and installed Battlefield 3, you will need to select the language that you want to play the game in. You can do this by editing the registry, but to save time and to make it more user friendly for our customers, CJS CD Keys has developed a custom Battlefield 3 Language Changer for your convenience. It will allow you to change the language of Battlefield 3 within seconds via the simple click of a button. There are 3 alternatives to step 3…. After double clicking the .reg file your game will now function in english. Once you’ve put the english language packs inside the installation folder, you can run our language changer, (DOWNLOAD IT HERE) click ‘activate english’ and the game will function perfectly in english. 4. Open Start, Run write Regedit Enter. Find [HKEY_LOCAL_MACHINE\SOFTWARE\Wow6432Node\Origin Games\DGR01609244] replace with the following. Just replace the highlighted fields. The game will now work in your language. If you want to change the language of Battlefield 3 without having to re-install, or if you have installed the RU version of the game but want to play in English, you’ve found the right place. A message box will show confirming the success of the language change. Once you get the ‘successful’ message, the language has been changed and the game will now be ready to play. change the value of ‘Locale’ to ‘en’ without the quotes and save the ‘Locale’ key. change the value of the ‘Language’ key to ‘English’ without the quotes, and save changes. Done! Battlefield 3 will now function in english. Do you want to buy a battlefield 3 Limited Edition Origin Download Key? Look no further. You have just found the cheapest place online to buy battlefield 3 limited edition. Welcome to CJS CD Keys. We are one of the largest stores on the internet today, that offer Activation Codes for all of the latest games. You can use these activation codes in order to get legal digital downloads of games such as battlefield 3 limited edition. We sell genuine battlefield 3 limited edition cd keys, which you can enter into Origin in order to grant yourself to a digital download of the game. Once activated it will permanently bind the game to your EA account. Once activated you will get a full digital download of the game. Currently, CJS CD Keys are offering the best price available on the internet – an amazing £25.99 GBP, which is equal to 29 euros, or $41 USD. CJS CD Keys will be giving away FREE battlefield 3 alpha trial codes! That means that at a random date within the next few weeks, we will be giving away some totally free battlefield 3 alpha trial invitations to our fans on facebook. now, all you need to do is keep checking back! At a few a random dates during the next few weeks, we will be giving away FREE codes for battlefield 3 alpha on our facebook wall! We are aiming to give away approximately 100 keys, so keep tuned on our facebook for your chance to get one! Good luck in our competition and we wish you the very best of luck in winning a totally free battlefield 3 closed alpha invitiation code! Our battlefield 3 alpha serial will be able to be activated on the official free battlefield 3 alpha invitation website, which will let you download the battlefield 3 alpha free! We have now partnered with our friends at Battlefield3Origin.com, where you can find the best prices on buying battlefield 3 for origin! Check it out! You can get a battlefield 3 origin download with full 80% discount! You can get a download of battlefield 3 at just $29.99 HERE! It’s a special discount on the download so you should buy now while the offer lasts! Our battlefield 3 keys come directly from sealed, retail boxes. We have a huge reputation as being one of the largest and most trustworthy cd key shop online! Our autokey system allows customers to collect the activation codes instantly after payment using our autokey system. 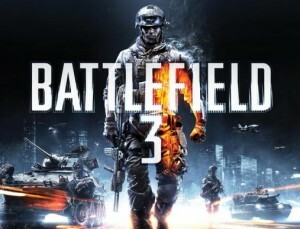 Battlefield 3 is a great new game, and our battlefield 3 cd key sales will be very succesfull thanks to our loyal customer base. Almost all of our customers who buy a game end up returning to buy another, and will hopefully buy a battlefield 3 cd key from us too! We are a small business, registered as a limited company in England & Wales. We are professional gamers at heart, and we will never stop in our efforts to get discounted games to our customers at a fraction of retail price. You can read on our reviews page on our main website CJS-CdKeys.com over 2,000 reviews from happy customers. We also have a 4000 strong facebook fan base! So, what are you waiting for? Battlefield 3 cd key will be the biggest game release in 2011, so you should buy it now from CJS CD Keys in order to secure the cheapest battlefield 3 price available! Buy Battlefield 3 now!